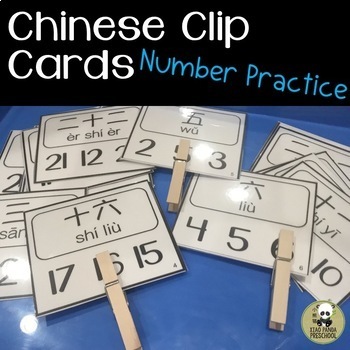 Learn Chinese numbers with this clip card game. 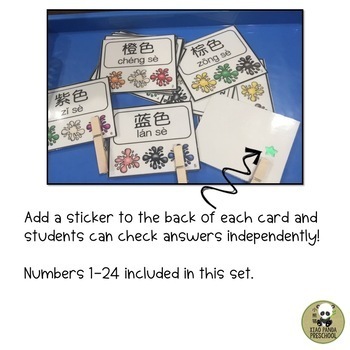 Students can see characters and pinyin, then choose the correct numeral and if you attach a sticker to the back of the card, the students can check their answers independently. This is a fantastic center, partner or independent activity for Chinese immersion students. This game is available at a large discount as part of my Chinese Clip Card GROWING BUNDLE! It includes all of my clip card target words AND all my future clip card creations!